Don’t miss out on the sights of Skye and Lochalsh just because you haven’t brought the car with you. We can fill that need from wherever you land in Scotland, particularly the HIGHLANDS and the North West of Scotland. There’s so much to see and to do out here and travelling by car gives you all the flexibility and independence you like. Skye is one of the most diverse islands of the Hebrides. Every area or peninsula of Skye has its own particular feel to it. Sleat, the most southern peninsula of Skye is generally known as ‘the garden of Skye’. Lush growth is contrasted by a rugged coastline and picturesque castle ruins like Dunscaith Castle. The award-winning museum at the Clan Donald Centre in Armadale tells the compelling story of the once most powerful clan on the isle. Travelling up north to Portree you’ll be going past Sconser, from where you can make the short ferry journey to the Isle of Raasay. If you have a bit of time on your hands, the Raasay House Outdoor Centre gives opportunity to try out a huge variety of outdoor activities, ranging from kayaking, to mountain biking, climbing and much more. At the almost 180-year old Sligachan Hotel the road splits and you can either keep travelling up north to the Skye’s main town Portree, or across towards the Durinish and Waternish peninsulas with Dunvegan Castle as the main drawing point for anyone interested in history. The Hotel sits at the foot of the most iconic feature of Skye, the Cuillin Hills. They are the longest and arguably most stunning mountain range in Britain and attract climbers and hill walkers from all over the world. The old harbour town of Portree boasts a wide variety of shops, where you can stock up on all the essentials as well as local crafts and arts. A few miles north of Portree is an area known as Quirang. Less challenging on your hill walking abilities than the Cuillin Hills, the Quiraing is not far behind in providing absolutely breath-taking scenery made up of sheer cliffs and rock stacks. 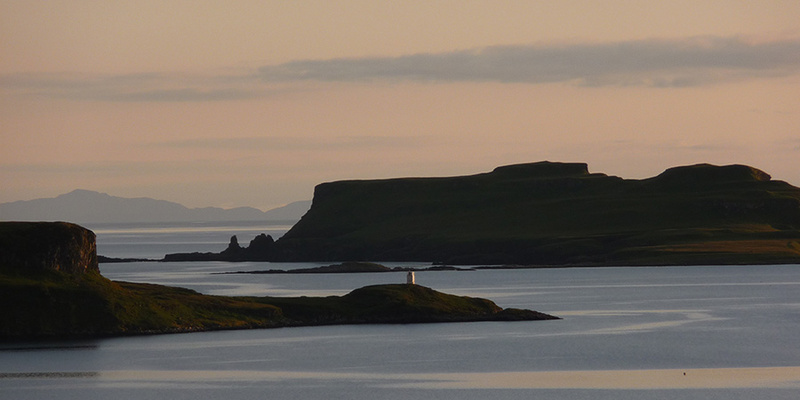 The mainland just off Skye doesn’t fall short of scenery, visitor attractions and things to do. There is the famous Eilean Donan Castle, which will be well-known to all ‘Braveheart’ fans, the beautiful Glen Shiel with ferral goats grazing on the cliffs, the Kintail mountain range and the picturesque village of Plockton. Having the freedom of your own transport will allow you to make most of your time in Skye and Lochalsh and will give you the opportunity to get a real feel for the area.